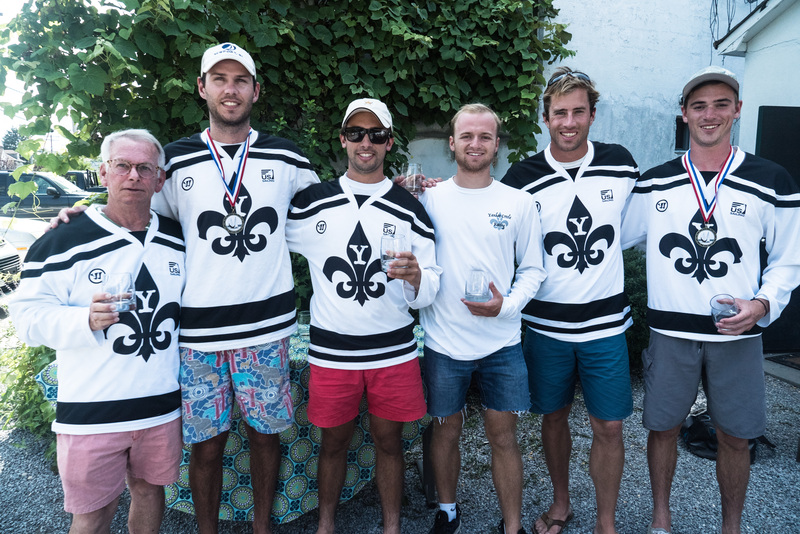 The US Match Racing Champions, Pearson Potts (Newport, RI) and the Yankee Creole Race Team, defended their title with another win at Oakcliff’s July Grade 3 Clinegatta with coaching by Will Boulden (Hobart, Australia). Close behind in second place was the up-and-coming Gotham Race Team led by 19 year-old Bridget Groble (Chicago, IL). Third place was Oakcliff Graduate Charlie Lalumiere.